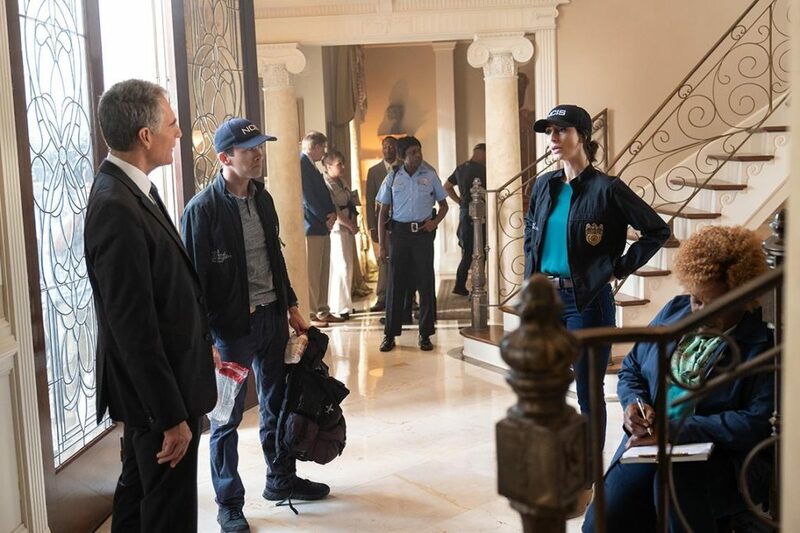 Tonight, NCIS: New Orleans season 5 episode 19 brought you one of the season’s greatest mysteries — this was a story all about one of the most-powerful families in all of New Orleans, and what happened when members of this family start to fall apart. The episode began tonight with the death of Wyatt Prescott, a Navy Lieutenant and the best of what this family had to offer. Unfortunately, he also found out more information about a counterfeit smuggling ring that he was comfortable with and this led to his death via careening down a flight of stairs at a public event. As if this wasn’t bad enough, soon after there was another death within the family. The entire Prescott family imploded and Pride and the NCIS team had to find their way through the wreckage and figure out what happened. Where things got tough within this investigation was trying to actually find weak points within the Prescott family armor — the clan had a powerful attorney who knew how to manipulate every situation to their benefit and because of that, Pride couldn’t get close. If there was a witness NCIS needed to speak with, she wouldn’t let that happen. She’d shield everyone from Pride’s prodding for as long as she could, and at one point the only thing NCIS could think of was try and hold her in the interrogation room for as long as they could. However, the breakthrough for Pride in this case was when he realized that he needed to stop looking at the attorney as the opposition and instead, as someone who could be an asset. This is someone who had failed horribly in her original goal of protecting them. Wyatt was dead, and by the end of the case, he wasn’t the only one. Meanwhile, the matriarch Amanda was up to no good, and while she didn’t mean to kill her own son, she put him in a position where the accident could occur. Using some smart thinking and some quick talking, Dwayne convinced the family attorney to work with him so that she could claim at least a small piece of her dignity back rather than having to endure some long-winded legal battle that she probably would not even win. The Prescott family legacy was tainted long before Wyatt even fell down those stairs; the only thing left to do was to try and pick yourself up and then figure out how to move forward. NCIS: New Orleans season 5 episode 19 was almost exclusively about the case and for the sake of the story that we got, that’s okay. This was a powerful narrative about a corrupt family and how just a couple of wrong moves sent them on a downward spiral that they just couldn’t recover from. This episode offered some of the best of what the show had to offer in terms of a procedural case, and while we wouldn’t say the Sebastian backstory mixed in was altogether substantial, it was just enough to feel like we had something we learned from this to carry into upcoming weeks (though we don’t think learning more about his genius with numbers and having a hard time in school is going to shock anyone). One thing that is certainly remarkable is that despite being away from NCIS for much of the season (at least in terms of his formal position) isn’t it interesting how it seems like Dwayne Pride never actually left now? It’s just back to business as usual. We highly suggest that you head over to the link here right away for some more news!